Price: Starter Membership: Free. Monthly Pro Membership: $19-49. Monthly Enterprise Membership: $49-99. Jaaxy is the keyword research tool that was produced by the founders of the affiliate marketing company, Wealthy Affiliate. 1. They actually made it free even though people were willing to pay for it! Jaaxy has always been a stand-alone product that operated independently. Even though it was made by the founders of Wealthy Affiliate, it had its own website and you had to purchase it independently of Wealthy Affiliate if you wanted it. It had a free version that was limited to 30 searches per month. The next level up was $49 for a Premium membership that featured unlimited searches and some other features. The final level was $99 a month for unlimited everything and full automation. One day, out of nowhere, with people actively spending $49 a month on Jaaxy because we felt it was worth the price, Kyle, one of the owners, sends out a notification announcing that Jaaxy would be free for all premium Wealthy Affiliate members. The Pro and Enterprise versions of Jaaxy were still available to premium members, but at discounted prices. 2. They got the best alphabet soup I’ve ever had. It’s not what you’re thinking. Alphabet soup is a searching technique that Internet marketers use for finding keywords. This method used to take a long time until Jaaxy automated the process. What used to take an hour is now done with the click of a button. Trying to understand what I’m talking about can be hard without seeing it. I was going to shoot a video demonstration, but I found out Kyle, one of the owners, has already done it. The video is posted below. 3. I don’t have to keep a notepad handy or rely on my memory. Jaaxy was made by Internet marketers for Internet marketers. They know that sometimes you’ll be researching keywords for one product when you stumble onto great keywords for a different product. That would involve a lot of jotting down notes just to forget where you left the paper later on. If you stumble onto a great keyword with Jaaxy, you just click the check box next to it and save it to a file for later use. What I really liked about this feature, though, is that the total possible traffic that you could get from those keywords are listed next to the title of the file. The more keywords you add to the list, the higher that number rises. You’re seeing how much traffic you’re missing out on, so the list becomes great motivation to hurry up and turn those keywords into actual articles as quickly as you can. 4. Jaaxy tells me exactly where my site ranks for any and every keyword. 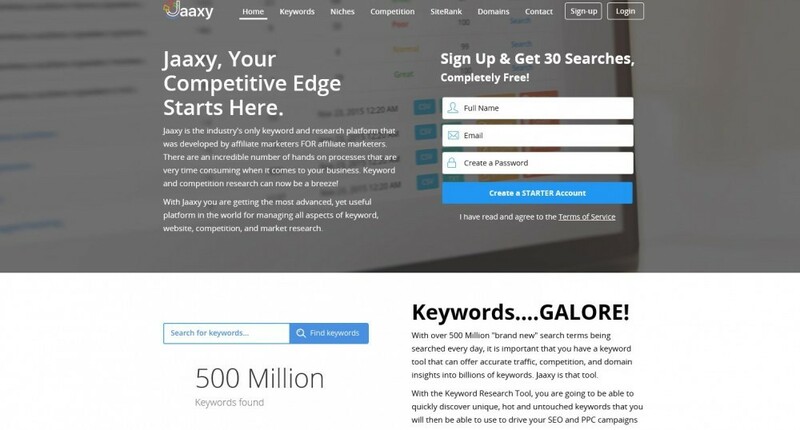 I never realized how much time I was wasting on keyword research until I started using Jaaxy. Don’t misinterpret that to mean keyword research isn’t important. It’s very important, but before I started using Jaaxy, if I wanted to know where my site ranked for a keyword, I had to go to Google, enter the keyword, and then scroll through all the pages until I found mine. Then I’d have to go through the sites that ranked ahead of me to do a little comparison to find out why. It took forever, but I never realized it was taking so long because that method was the only one I was familiar with. It was time that I would have been better off using to write new articles or promoting the articles that I’d already written. 5. You can try Jaaxy for free. There’s a version of Jaaxy that you can try for free. Of course, it’s going to be limited, but it gives you enough to know if you want to continue with it or not. There is a Search Analysis option that allows you to type in a keyword and see what websites are ranking at the top of Google, Bing, and Yahoo. It then takes it a few steps further by showing you the word count of those pages, the number of external and internal links, back links, Alexa ranking, and whether that site uses Google Adsense. Knowing the competition is very important because you can figure out how and why you’re not getting the ranking you want for a particular keyword and alter your content so you can. There are a few things that I don’t like about Jaaxy, but in fairness to the product, I have to point out that these are things that can be solved by simply upgrading to the Enterprise level. For example, when you research a keyword, the number of Google searches and the amount of traffic that you can expect from getting first-page ranking from that keyword will appear automatically. Next to that, it’ll show the number of websites that are currently competing for that keyword, meaning they feature that exact keyword in the title and description. Next to that are indicators that let you know if you should go after that keyword or not. Only the monthly searches and expected traffic show up automatically. If you want to see the rest, you can, but it involves clicking a link for each and every keyword possibility that shows up, which can be in the 100s. It’s not a big deal, but it can be time-consuming, so I’d recommend the upgrade to make sure you don’t miss any great keywords because you got tired of clicking and decided to settle for the first few. You get three training videos even though Jaaxy is so easy to use that you probably don’t need a video to know how to use it. I’d still highly recommend watching them because there might be a benefit to a feature that you don’t figure out on your own. 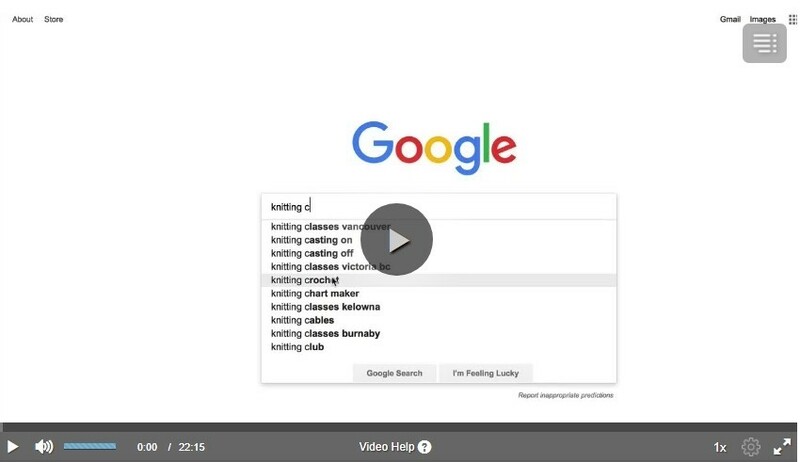 The videos not only show you how to use Jaaxy, but also cover how to research and refine your keywords, how to do research and analyze your website, and how to research and refine your niche. To be honest, I cannot write anything about their support because I’ve never had any problems with Jaaxy, which means I’ve never had to use support. The second I do, I’ll write about the experience here. This comparison chart shows what you get at each level. These prices only apply if you join directly at www.jaaxy.com. The discounted prices for Wealthy Affiliate members are shown under this chart. Below are the prices for current Wealthy Affiliate Premium members. The free version is called Lite and it isn’t listed. 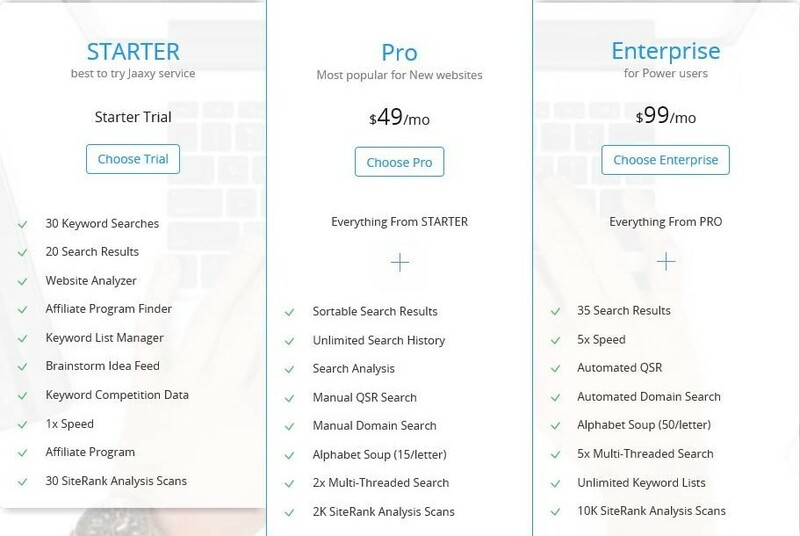 It’s almost the same as Pro except you don’t get multi-threaded searches and you only get 100 Site Rank Analysis scans instead of 2,000. IPA, which means Income Producing Activity. IPA is any activity that directly leads to a product or service being sold. You want to spend as much time as possible on IPA. In fact, a lot of people struggle because they think they’re doing IPA just because they’re keeping busy. Writing an article and spending time on keyword research are important and vital for success, but they are not considered IPA. On the other hand, posting the article to social media, following up with leads…those are considered IPA. Basically, any activity that puts you or your content in front of a prospect is IPA. The act of writing the article isn’t putting it in front of a prospect. However, the act of posting that article to Twitter does. What does this have anything to do with Jaaxy, you’re wondering? Back when I was spending an hour or two trying to find where my site ranked, doing the alphabet soup technique, and writing down keywords just to forget I’d written them down and end up accidentally throwing the paper away, I was very busy and getting nowhere because all those activities took time away from doing the activities that actually made me money. If you’re planning to buy it, I recommend you join Wealthy Affiliate first and get it for free with your paid membership. Why? Because when you join Jaaxy, all you get is Jaaxy. When you join Wealthy Affiliate, you get web hosting, Internet marketing training, support from the community, and Jaaxy, for the same price. So join Wealthy Affiliate first. Did you enjoy this review? Are you currently using Jaaxy or considering it? I like to hear from my readers. Use the Comments field below to tell me what you think, and if you got any value from this review, please Share it. I appreciate the feedback. Yes, Jaaxy is so awesome and makes the process way faster. Hi. This is a real thorough review on Jaaxy. I actually read it through twice to make sure I got everything. I can see how this is a vital tool for internet marketing. When a program gives you more than you are really asking, it is a good one. It took me a bit to get my head around the alphabet soup concept but then, when it clicked, I was giggling “Wow!”s. You have to try it to understand, in the context of finding powerful keywords for blogs and websites. Thanks again and I agree with your 10/10 rating. Hi Marta. Enterprise is the way to go. Hi, great article! I liked it because it’s exhaustive. You know, today I tried to use Jaaxy for verifying my SiteRank. I’ve realized that for a better experience I should have upgraded…I’m already a WA Premium Member. Do you think I should to upgrade to Pro or Entreprise? Maybe I didn’t understand what’s the difference between the two….thank you! OCD is a good thing when you’re talking about marketing. People who get results are usually the ones who have developed success habits like yours. Great job. And yes, I do use Jaaxy to check what pages I’m ranked on for Google, Bing, and Yahoo. This is one of the best reviews I have read on Jaaxy. I really like the way you used the comparison charts to show the older price structure and the new one. Awesome job! Do you use Jaaxy to track your keywords and see what pages they are ranking on? I am a bit OCD about it and check them almost daily. Thanks, Chrissie, for your input. Yes, Jaaxy is awesome. An excellent review of Jaaxy. 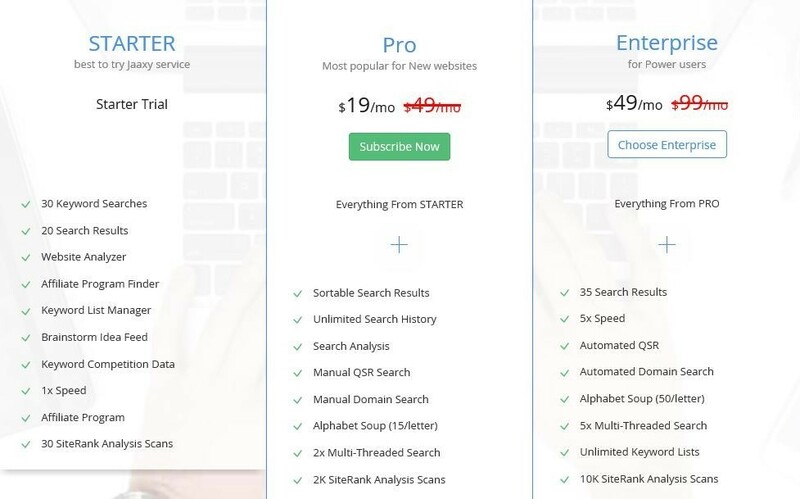 As you say, most people working online need a keyword tool, and they don’t come any better than Jaaxy! I really like your video about the Analysis tool – I have ben using Jaaxy for some time, but I did not really understand that tool, thank you so much for explaining it so clearly. I will definitely be using it in the future. Wealthy Affiliate plus jaaxy together provide the stairway up towards success that we all need working online. I don’t see why not, although I don’t think you need SemRush. Jaaxy does it all. I have heard lots of amazing things about Jaaxy and decided to get a review of it first before I get myself immersed into it. I see that you can use it to spy on your competition and see the most important details on them. I was wondering, can you use Jaaxy together with semRush for getting best keywords and analysis for them in terms of competition and easily rank with them? My advice would be to use it before making any posts so you know you’re posting what people are looking for. Then I’d say be sure to watch all 4 of the training videos. They’re very detailed. Thanks for the feedback. I use Jaaxy as well, through Wealthy Affiliate, I think it’s such a powerful tool. I don’t know yet all the functionalities but I want to learn how to use it properly and enjoy all the information that it can deliver. If you had one advice about Jaaxy, what would it be? Thanks, JoJo. I appreciate the feedback. I totally agree with you. Jaaxy is really a great keyword tool and it gives you more information than you would get from most other keyword tool. Your description of IPA is also really great and this is something that everybody should keep in mind. Creating a website and producing content takes soo much time so it is very easy to forget that to make money you really need to send people to a vendors website, not just give free, valuable information. Giving people information is great for building trust but you also need to combine this with the Income Producing Activities just like you say.